Edgewood is very excited to announce that it has been selected as the lead recipient of a capacity building grant of $1.25 million from the California Office of Statewide Health Planning and Development for the training of Psychiatric Mental Health Nurse Practitioners. This initiative will establish new and expanded collaborations among public, private and non-profit organizations in order to expand postsecondary education and training for Psychiatric Mental Health Nurse Practitioners (PMHNPs) to meet mental health occupational shortage needs in California. Through its on-site and community-based mental health services, Edgewood will be able to respond to the needs of San Francisco, San Mateo communities and other California Counties through this program that will result in significant increases in the training of PMHNPs in the Public Mental Health System (PMHS). This work is consistent with shared values across the program partners: to increase access to quality mental health services for unserved and underserved populations and communities of color. For over 30 years, Edgewood has partnered with UCSF’s Division of Child & Adolescent Psychiatry providing resident training and developing core skills essential to psychiatry best practices. For the past 19 years, Edgewood’s Chief Medical Officer, Dr. Robin Randall, has been training UCSF’s psychiatry fellows interested in child psychiatry. Edgewood trains approximately one percent of all child psychiatrists graduating in the U.S. each year. There are currently about 8,000 child and adolescent psychiatrists practicing in the US (AMA, 2013). UCSF offers one of the top-ranked programs in psychiatric/mental health nursing in the U.S. The curriculum reflects important advances in understanding mental health disorders, including prevention and treatment, and has developed advanced practice roles to respond to the special needs of vulnerable populations in the community. This grant will strengthen and expand our collaboration with UCSF’s School of Nursing and increase the capacity and growth of the PMHNP workforce to serve low-income, diverse, underserved patients in California. Through this partnership, we will create new clinical training sites throughout Edgewood’s programs and at partnering community based organizations and counties for UCSF PMHNP students in public mental health. Over the last 4 years, UCSF PMHNP students seeking psychiatric nursing experience while completing NP coursework have been welcome additions to our Crisis Stabilization Unit’s multidisciplinary team. This training and clinical supervision has increased their cultural competency and skills in assessing and treating youth experiencing severe psychiatric crises. Edgewood’s clinical supervision and training provides high quality multidisciplinary training opportunities to students and trainees, employees and community members serving youth and families. We provide clinical supervision, consultation, lectures, workshops, and seminars on empirically based and promising best practices geared towards improving the efficacy of our programs and increasing our impact and outcomes on critically underserved populations in the PMHS. We hire field experts to lead trainings and offer continuing education credits as accredited by the Board of Registered Nursing (BRN). Edgewood provides a full spectrum of nursing competencies, including assessment, diagnosis, outcomes identification, individualized planning and coordination of care. Edgewood’s clinical teaching is based on program models steeped in strengths based, trauma-informed systems of care approaches. Through our network of partnering CBOs and county agencies, Edgewood offers opportunities for staff and trainees to work in integrated, multidisciplinary clinical teams. Also, some of our staff are former clients who bring lived experiences to the PMHS. This engages clients, builds trust, and improves outcomes. Edgewood is deeply grateful for this partnership with the California Office of Statewide Health Planning and Development to help strengthen the field of Psychiatric Mental Health Nursing. 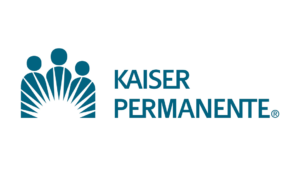 Edgewood is honored to begin a new partnership with Kaiser Permanente Northern California Community Benefit Programs. With a $15,000 grant from Kaiser Permanente’s Greater San Francisco Region, Edgewood will be able to provide critically needed health services and support for vulnerable, low-income families –many of them in communities of color — in the South San Francisco region as part of our HealthyKin program. Edgewood will provide intensive physical and behavioral health care for 35 elderly caregivers and 15 youth through nursing, counseling, health and parenting education, support and referrals. The goal is to foster high-functioning kinship families so children remain with families and out of foster care. Kinship families are formed in the wake of trauma, when a grandparent or other relative steps in to care for children when parents are no longer available due to abuse, neglect, incarceration, substance abuse or death. Often these caregivers are dealing with their own health challenges due to poverty, lack of access to health care, and social inequities. As part of its mission to improve the health of its members and the communities it serves, Kaiser Permanente provides grants, technical assistance, communications support, and other types of in-kind services to community organizations that serve low-income, at-risk communities. With Kaiser’s help, Edgewood is able to provide community health nursing, education and peer support, which increases the likelihood that families will stay together and thrive. This is Edgewood’s first-ever grant from Kaiser Permanente. Thank you, Kaiser Permanente Northern California Community Benefit Programs! Edgewood is thrilled to announce a partnership with the Palo Alto Community Fund to help kinship families stay together, stay healthy, and stay strong for each other as part of our San Mateo Kinship Support Network. Part of the only kinship program available in San Mateo County, this project focuses exclusively on providing urgently needed health and social emotional services to 50 kinship family members, including 36 heroic kinship caregivers in East Palo Alto and Menlo Park who are lovingly caring for children so they can stay with family and avoid entering the foster care system. Last year, 100% of the 28 youth living in the PACF geographical area remained with their kinship families while 98% of all kinship children served in San Mateo County were prevented from being placed traditional foster care, institutional care, or non-kin out-of-home placements. Of all the caregivers receiving services, 95% reported that our services made a positive impact on their lives. But a reduction of available county funding makes every grant a critical part of ensuring our program can continue operating and making positive impacts on the health and well-being of underserved families in these communities heroically served by PACF. PACF has provided over $50,000 in grant support to Edgewood since 2012. The Palo Alto Community Fund grows, sustains, and uses its endowment and other donated funds to support the work of new and existing nonprofit organizations serving the Palo Alto area. PACF is a nonprofit 501(c)(3) dedicated to improving the quality of life in the local community. Thank you, Palo Alto Community Fund! We couldn’t do it without you! Thanks to the Cisco Foundation’s $15,000 Silicon Valley Impact Grant, vulnerable children and youth recovering from trauma at Edgewood’s Vicente Campus in San Francisco will now have access to technology to improve their learning and help prepare them for a 21st Century career. As part of the program – which also teaches financial literacy to support life skills — a computer science student from the University of San Francisco will help teach them computer coding. PowerUp! leverages what children and youth already love and are familiar with — technology – to support their mental health recovery and strengthen their STEM education. Harnessing a $22,400 in-kind donation of 28 laptop computers from Edgewood’s partner Twitter For Good, PowerUp! adds a new technology curriculum to Edgewood’s evidence-based Cognitive Behavioral Therapy Program to make specific, measurable impacts on youth in our care. The program will directly impact 216 vulnerable children and youth. It challenges youth to learn new skills, interact with others, solve problems and build confidence, while enriching the professional development of staff who will apply their skills in other settings, further increasing impact. Cisco and the Cisco Foundation provide cash, products, and people to support nonprofit organizations. Silicon Valley Impact Cash Grants support qualifying health and K-8 education programs run by nonprofits that operate within 50 miles of Cisco’s corporate headquarters in San Jose, California. Cisco Systems Foundation has been a huge supporter of Edgewood through the years, donating nearly $385,000 in cash and in-kind gifts, but this is our first Silicon Valley Impact Grant. Thank you, Cisco Systems Foundation! Thanks to a $10,000 grant to Edgewood’s Kinship Support Network from the San Bruno Community Foundation, Edgewood has expanded the critical services and support we provide to reach 28 kinship family members living in San Bruno. Services include community health nursing, counseling, caregiver support groups — which include two Kinship Day of Learning events held at our San Bruno Drop-in Center – as well as health assessments and education, recreation and enrichment services, and referrals to partner agencies. These services have made a significant impact on our vulnerable caregivers, with 90% reporting increased confidence in managing their health and 100% reporting reduced ER visits and improvement in their overall health, which means they are more likely to continue to be able to maintain a stable, loving home for their kinship youth. Since 2000, Edgewood has helped 167 San Bruno residents with services and support from our Kinship Support Network. Thank you to the San Bruno Community Foundation for partnering with Edgewood to create a safer, healthier home environment for families and enhancing the quality of life for the San Bruno community!